Home | New Releases | Andy Thomas Artist Signed and Numbered Limited Edition Giclee:"One Riot, One Ranger (Texas Rangers)"
Andy Thomas Artist Signed and Numbered Limited Edition Giclee:"One Riot, One Ranger (Texas Rangers)"
Edition: Artist Handsigned and Numbered Limited Edition with COA - Select Option from Drop Down Box. No thank you, I just want the 24x20 SN print unframed. 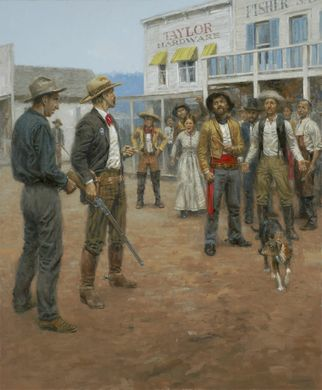 Home | Fine Art Prints & Limited Editions | Somerset House | Andy Thomas | Andy Thomas Artist Signed and Numbered Limited Edition Giclee:"One Riot, One Ranger (Texas Rangers)"